Don’t think lifetime value is a valid metric in email marketing? 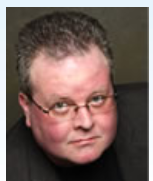 Well, database marketing expert Arthur Hughes has one word for you: nonsense. Last week’s piece in which Chris Donald, vice president of marketing at email marketing services provider Inbox Group, criticized lifetime value’s use as an email-marketing metric prompted a debate in the comments section of the Magill Report. The article was also retweeted six times to a collective following of about 10,000 people. But the most notable response came from Hughes, vice president, The Database Marketing Institute. Hughes is one of database marketing’s foremost experts. He’s written nine books on marketing. 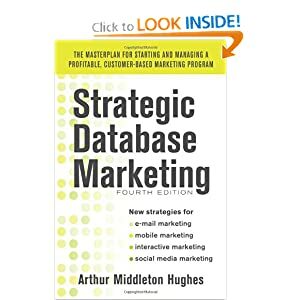 The fourth edition of his book Strategic Database Marketing is scheduled to be published by McGraw Hill this fall. It will cover database marketing as applied to direct mail, email and mobile marketing. In email, Hughes contends, lifetime value goes beyond clicks, opens and purchases to determine if the program is actually making money. In fact, according to Hughes, there are a several metrics besides clicks, opens and purchases that should be used to calculate the value of an email address, including unsubscribes and undeliverables. But one of the most important metrics in calculating subscriber lifetime value is what Hughes calls the “off-email multiplier,” or purchases prompted by the email but not made through the email. “The fact is that email produces one, two and three times as much offline sales as they do online sales,” Hughes said. He used professional sports as an example. He added that if, say, American Airlines sends an email touting a sale on flights, people don’t necessarily click on the email and buy. “They talk to their wife or husband and say: ‘Hey, we’ve always wanted to go there. Why don’t we go on American because they’re having a sale.’ Then they [make a reservation] because of the email, but if you look at the shopping cart, it’s empty because there was no sale there. “All emails have secondary effects and that goes into lifetime value,” Hughes said. He conceded that in order to calculate the off-email multiplier, some assumptions must be made. However, there are concrete ways to gauge it, he said. Loyalty programs are another way to calculate the off-email multiplier because loyalty purchases are tracked by name no matter what the sales channel, he said. Inbound call center reps can also be given incentives to find out which channel drove the order, he said. Assigning different product numbers according to channel can help measure the off-email multiplier, he added. Costs of the product or service being offered, such as buying and warehousing, must be factored into lifetime value, as well, Hughes said. “Part of lifetime value is not only figuring out the sale, but the cost,” he said. And contrary to the argument made here last week, Hughes said he is completely comfortable using the lifetime-value metric to explain the value of an email address to management. He recommends calculating lifetime value according to how much the average address is worth over three years. Hughes also said that email subscriber lifetime value is a different concept than that of customer lifetime value in traditional direct mail. “With email, only about 10 percent of your subscribers ever buy anything from you,” he said. “Most of them get your email and don’t buy anything. With customers, by definition, all of them have bought something from you. “So you start off with someone who has bought one of your products and they are much more valuable than a subscriber,” he added. Hughes said he calculated email subscriber value for 51 companies last year. The values varied from 54 cents to $240. “When I showed the 54-cent company their lifetime value they said, ‘Wow. We suspected that, but had no numbers to prove it,’” he said.